Though the figures are tough to keep up with, as they are changing almost daily, the Kepler space telescope has discovered over 2,300 exoplanets in all. Those are just a few in existence whose orbital planes lie at a favorable incline from our perspective. Of those 2,300+, at least 207 are Earth-sized and at least 48 lie in the so-called 'Goldilocks' or habitable zone. The way Kepler achieves this miracle of detection of extra-solar planets is by measuring the varying light curves of their parent or host stars. As planet transits or passes in front of a star, as seen from our neighborhood, there is a barely measurable but significant decrease in the star's light, on average about 2%, with another .03% decrease in the presence of a planetary atmosphere. This is roughly equivalent to the amount of light lost by an observer of a housefly passing in front of a car headlight as seen from several miles away. When astronomers can determine a regular pattern of dimming and brightening, they can deduce that the star has at least one planet in orbit around it. 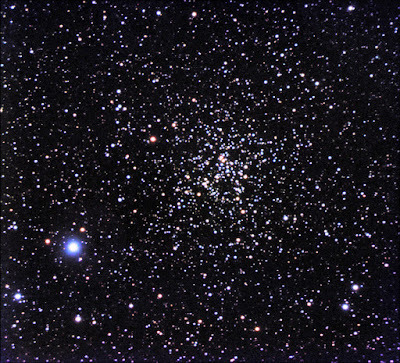 Stars vary in their brightness for other reasons, as was seen earlier, but this may the most exciting one. 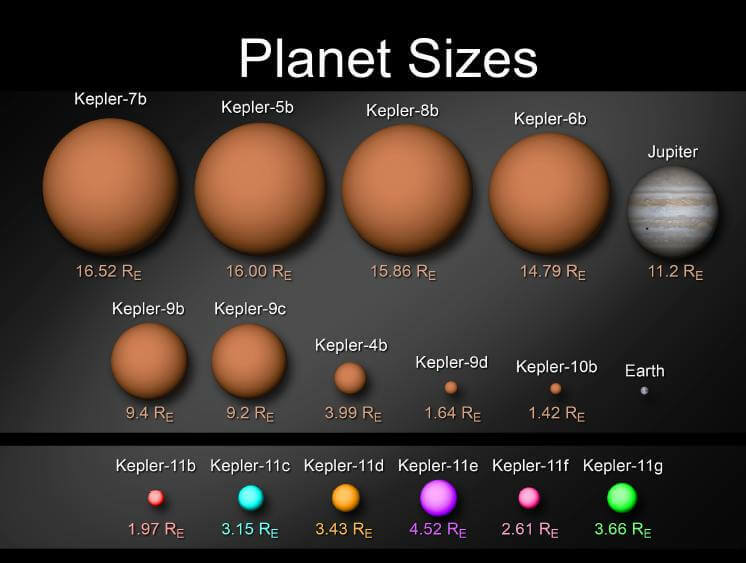 data from the Kepler Spacecraft. If life is discovered elsewhere in the universe, is it likely it will be found on Earth-like extra-solar planets - planets that fall into that comfy, cozy distance from their host stars that we refer to as the Habitable Zone? We, humans, like to think so, and it may very well be, but life may also be found in much less likely environments. The diversity of life on Earth, itself, is staggering in that it can be found in the deepest ocean trenches, in waters above 600 degrees Fahrenheit and pushing well north and south of the Arctic and Antarctic Circles, respectively, and, on land, in temperatures well below freezing. It should be remembered that we are products of our environment in the struggle for life. Nature has tried out many kinds of organisms through the process of natural selection and most of those organisms were ill-suited to the task of survival. In fact, more species of living things have become extinct than have survived. The first step in finding extraterrestrial life is to find extra-solar planets, or, exoplanets. The first technique used to detect extra-solar planets was through the measurement of the shift in the radial velocity of a host star. A planet or planets orbiting a star will produce shifts in the spectral lines of the star as they tug on it, making the star appear to wiggle back and forth, as it moved through space. In 1952, Otto Struve suggested that extra-solar planets might be detected by dips in a host star's light during a planet's transit. Even then, techniques were available to detect such a drop in light but it was forgotten about for decades. In 1999, two professional astronomers using a 10-centimeter telescope discovered the first telltale signs of such a transiting extra-solar planet. 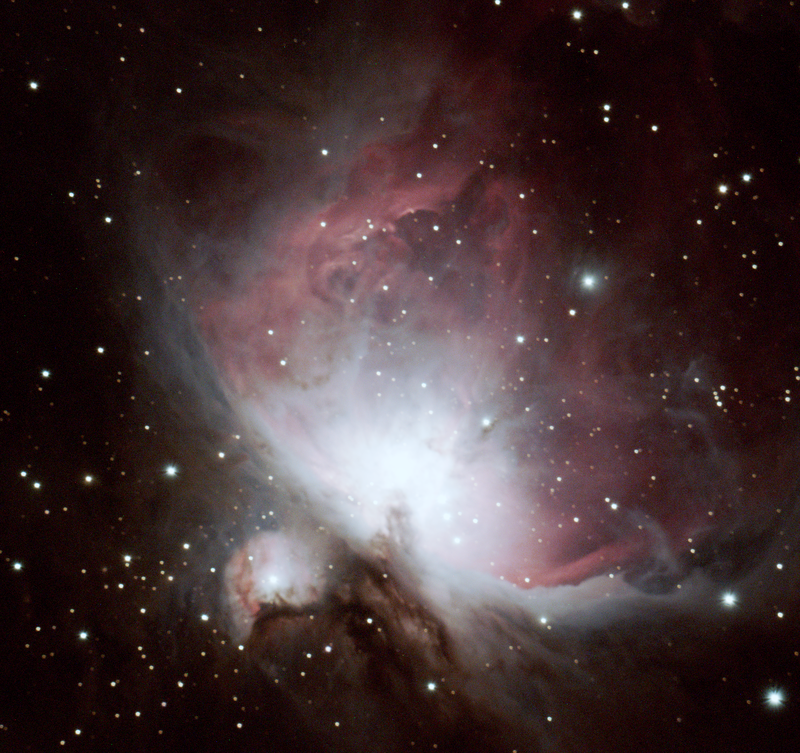 Amateur and professional astronomers have since detected countless candidates. NASA's Ames Research Center lists a table of 70-plus confirmed exoplanets discovered by Kepler as of May 2012 and designated by the name 'Kepler' followed by a letter. Planetary characteristics in the table for each planet include the following headings: Jupiter Masses, Earth Masses, Jupiter Radii, Earth Radii, Density, Temperature, Transition Duration, Period, Semi-Major Axis (UA), Eccentricity, Inclination (in degrees) and Distance (in parsecs). The table also lists characteristics of the host star. It should be noted here that Kepler-23b – Kepler-30b are planets that are within just a few Earth radii, though they are several hundred times more massive and their orbital periods seem much too short (just a few days) to be within the habitable zone. Nevertheless, it tells us that exoplanets, roughly the size of Earth, are detectable and are indeed out there. Spacecraft Chart Courtesy of NASA. The Kepler mission was originally slated to last 3 1/2 years but steps have been taken by its team of engineers to extend its mission another 3 years. 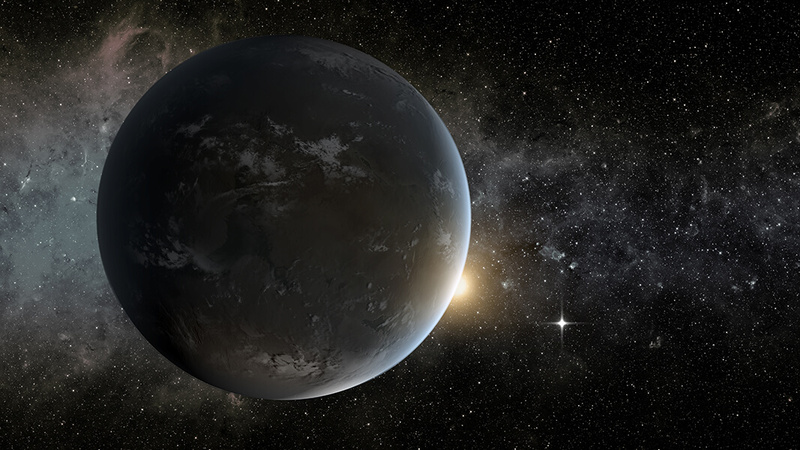 Within the first 45 days of operation, Kepler, combined with follow-up ground-based observations, confirmed the discovery of five new exoplanets, including Kepler-7b, the least dense planet discovered at that time. Kepler has also been credited with the discovery of two "super-hot" orbiting companions - companions that appear to be hotter than their respective host stars. That discovery first announced at the 215th American Astronomical Society meeting in Washington, D. C. on January 4, 2010, revealed that the data from Kepler, along with the ground-based data had yet to confirm just what these objects are. One of the objects, KOI-74b measured 70,000 degrees Fahrenheit! Its host star, in comparison, is a mere 17,000 degrees Fahrenheit. The object is roughly the size of Jupiter and orbits its host star every 23 days. The hottest confirmed exoplanet to date has a temperature of 3,700 degrees Fahrenheit. As of June 15, 2010, Kepler had identified 706 stars hosting exoplanet candidates with sizes from as small as that of Earth to larger than Jupiter. On August 26, 2010, two new exoplanets orbiting the same star were discovered via the transit method. Two planets orbiting the star Kepler-9, roughly 2,300 light-years distant have been designated Kepler-9b and 9c and were discovered over a seven-month period. Astronomers at the W. M. Keck Observatory in Hawaii have estimated the masses of these two confirmed planets. Kepler-9b is the larger of the two, the other being only 1.5 Earth radii, making it one of the smallest exoplanets known. Open Cluster NGC 6819 in Cygnus - Image by Al Kelly. Other discoveries by Kepler include solar-like oscillations in the light curves of red giant stars using time-series photometry and solar-like asteroseismic events in relatively nearby type-G stars and in the open cluster NGC 6819. Although the Kepler mission was originally designed to find transiting Earth-like exoplanets by continuously observing over 100,000 stars in a field centered in the constellation Cygnus, two years into the mission, it is also providing an extraordinary collection of time-series data for studying the variability of stars in our galaxy. 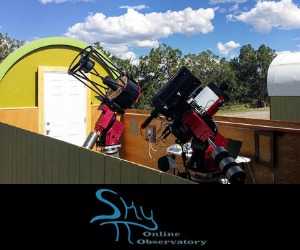 There are online tools available for studying this variability, including the NASA Star and Exoplanet Database's periodogram tool. A periodogram finds the periodicities present in time-series data sets and the probability that an individual period arises by chance. Life "as we know it", would require that it evolve on a planet with the exact same physical makeup as Earth. Life here on Earth is carbon-based, but we should not necessarily exclude, say, even silicon-based life on other worlds. Our body chemistry is that of the Earth. Nevertheless, life will come in many forms. It may be possible to detect life on Earth-like exoplanets possessing an atmosphere by measuring gaseous emissions in its atmosphere by spectroscopy, such as the oxygen given off by vegetation here on Earth. Other forms of life give off carbon dioxide and even methane into the atmosphere. Luckily, the universe operates the same everywhere else as it does locally so we can know what signs to look for. The presence of such gasses can be determined by measuring a planet's transmission spectrum during its transit across the face of a star. If a planetary atmosphere is not present, the light fall-off will be the same at all wavelengths. If certain elements are present in the planet's atmosphere, they will absorb some of the star's light. In one case, sodium present in the atmosphere of a planet made the planet appear to be six percent larger than at other wavelengths. Another way that astrobiologists and exobiologists expect to be able to detect the presence of life is by spectropolarimetry, or, looking for bio-signatures in the reflected polarized light of a host star by one of its planets. Ultimately, we should not limit our search to Earth-like planets exclusively, but it's a good place to start. Life, as we know it - or not - may be a far more interesting story than we think, and one thing is becoming clearer; the "Habitable Zone" around a given star may be less distinct than many of us imagine!